Who can resist the red ripe, sweet look of a strawberry in the hand? Each spring, our family tradition is to go out and pick ripe strawberries in the field with my kids. My boys, 13 & 10, still love going out, finding the biggest, baddest red strawberry for our annual family competition. While they are looking and picking, I remind them not to eat too many as we have lots of baking and cooking to do when we get them home. Of course a box or more may not even make home with those two in the back seat. The Southern Maine area has a several great spots to pick at, only 30min max to the farthest field from Ogunquit. If you’ve not had a chance to pick strawberries before, take a moment to enjoy the freshest farm find while you’re here. Our room’s kitchenettes are perfect for cleaning up your loot with space in your refrigerator to store and enjoy them while your here in Ogunquit. Our first stop is always Spiller Farms in Wells. Family owned and operated by Anna and Bill Spiller, they get farming and how to educate those who want to know where thier food is from. If I really want to stock up I’ll also try these fields in the are. Always give a call ahead, as picking times and supply on the vine vary with weather and those who’ve picked before you. 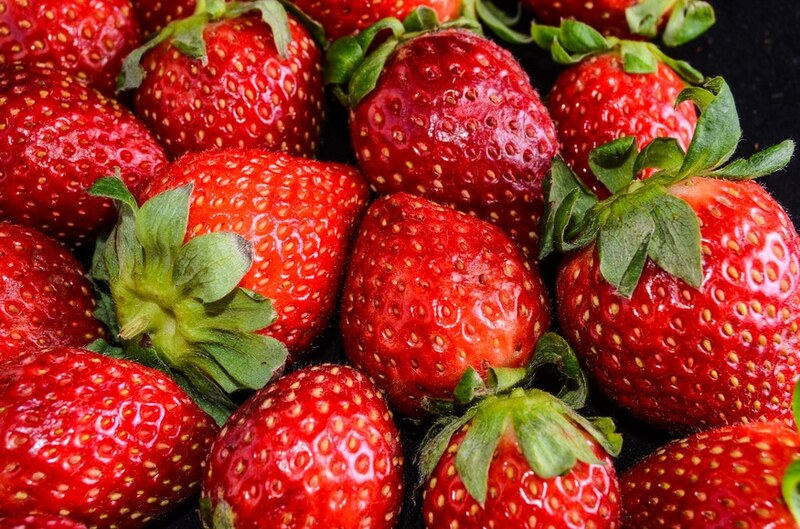 If you are here in town on June 27th, enjoy South Berwick Strawberry Festival celebrating it’s 40th year. Crafts, Food and Fun are all to be had along with Strawberries in every shape, size and edible form. The festibal is from 9Am to 4PM – but get there early to enjoy it all. Catching Health with Diane Atwood just published a comprehensive list of where to pick strawberries in Maine. Visit her article if you are heading farther north and want to explore your inner strawberry cravings.